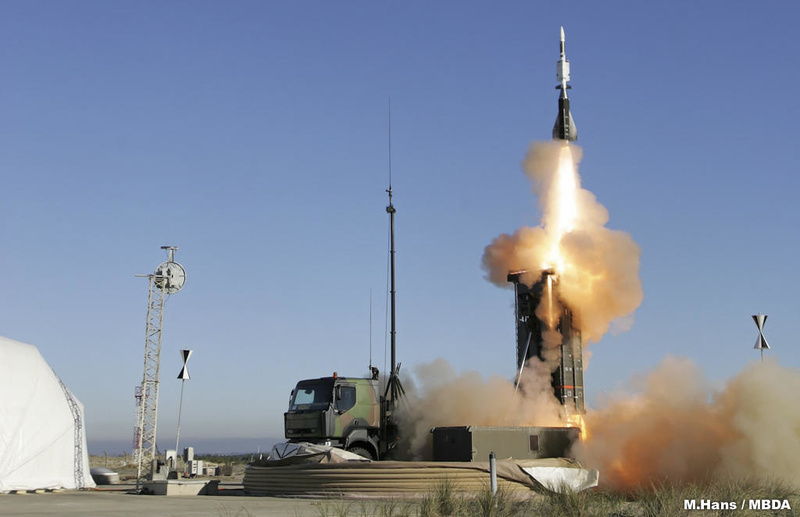 Turkey is in talks with the Italian-French consortium Eurosam to purchase the SAMP/T Aster 30, a long-range missile defense system, Daily Sabah has learned from government sources. Despite speculation about Turkey’s possible purchase of a Russian S-400 missile system following the recent Russian-Turkish rapprochement, Turkey is edging toward purchasing a missile defense system produced by Eurosam. According to information obtained by Daily Sabah, Turkey’s military procurement agency, the undersecretariat for the Defense Industry (SSM) and National Defense Ministry have been continuing negotiations with Eurosam to purchase the SAMP/T Aster 30, which is already in use in several NATO member countries. Sources indicated that if the ongoing talks reach maturity, the main procurement is going to address the country’s urgent security needs via a short-term bridge solution and technology transfer and co-production will be considered as the long-term solution. In November 2015, Turkey canceled its $3.4 billion long-range missile defense system contract process, which was provisionally awarded to China in 2013 to produce its own indigenous system. Thereafter it was announced that two state-owned firms – Aselsan and Roketsan – were commissioned by the government to provide a future missile defense system. Turkish defense companies Aselsan and Roketsan started a program to indigenously develop and produce short- and medium-altitude air defense systems in 2007, and in 2013 they completed the test launch of its first domestically developed and manufactured low-altitude air defense missile, Hisar-A, and set to work on Hisar-O, the medium-altitude system. However Turkey is still not yet capable of producing long-range missile systems. Defense industry sources said the designing, developing and producing stages of the indigenous system could take up to 10 years while underlining that the procurement of the SAMP/T Aster 30 system does not mean that Turkey has given up its desire to produce an indigenous system. In the meantime after the cancellation of the deal, Turkey was invited to the same bidders to cooperate with Turkish companies for the development of the system. A senior Eurosam official who spoke to Daily Sabah under condition of anonymity said that they are in favor of joint production and technology transfer as well as industrial partnership with Turkish defense industry firms in the case of long term cooperation. The SAMP/T Aster 30 system uses a network of sophisticated radars and sensors – including 3D phased array radar – enabling it to be highly effective against all types of air threats. The system can intercept missiles with a 600 kilometer range and it can operate in standalone mode or can be integrated in a coordinated network such as NATO missiles defense system.